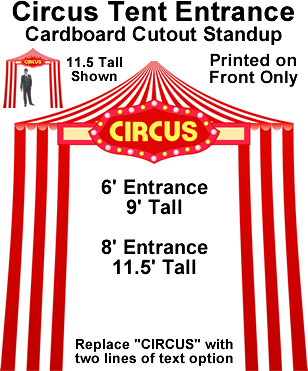 Circus Tent Entrance Cardboard Cutout Standup Prop - Dino Rentos Studios, INC. Allows you to walk thru. Self standing. Upgrade! 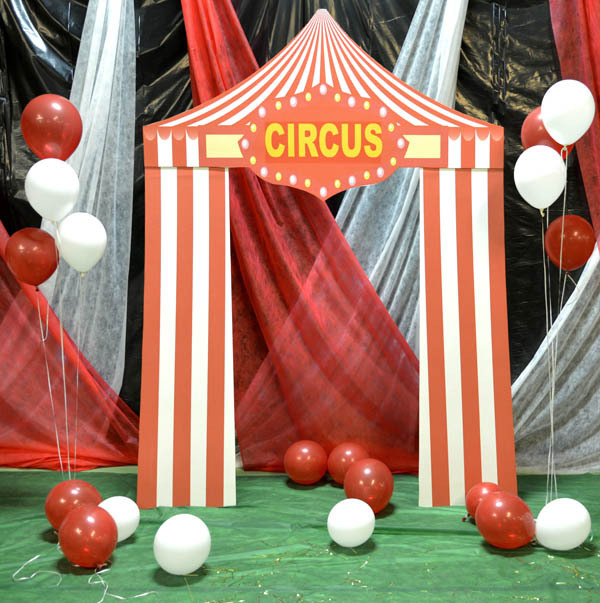 to Plastic cardboard AND laminate (gloss or matte) for an all-weather prop that can be used indoors and outdoors!